When photography and I first met, almost by accident, I underwent a transformation. I saw how light hit the faces of my friends. I saw how they moved, how they gestured. I became addicted to capturing it. Now, I’m a sucker for natural light and even (gasp!) a morning person. Photography gives me hunger while consuming me in the process. The moment I finished university, I packed up and moved to Egypt. I took a job as a history teacher to put money in my pocket, while at the same time exploring what came to be unexpected realities of revolution. Through my lens came a new perspective on a well-worn story. It’s become a ritual to share these photos with my students. The conversations that bring the classroom alive are a testament to the power of visual storytelling. Everywhere I go, I seek out local photographers. There is always something to learn, and always someone to learn from. Always. Syria. Iran. Iraq. Egypt. Ethiopia. The people in the streets have taught me more than most textbooks. I tell my students they need to do what they love- what gets them out of bed. For me, it’s taking photos. I’ve spent the last couple of years teaching. Now, it’s my time to learn. 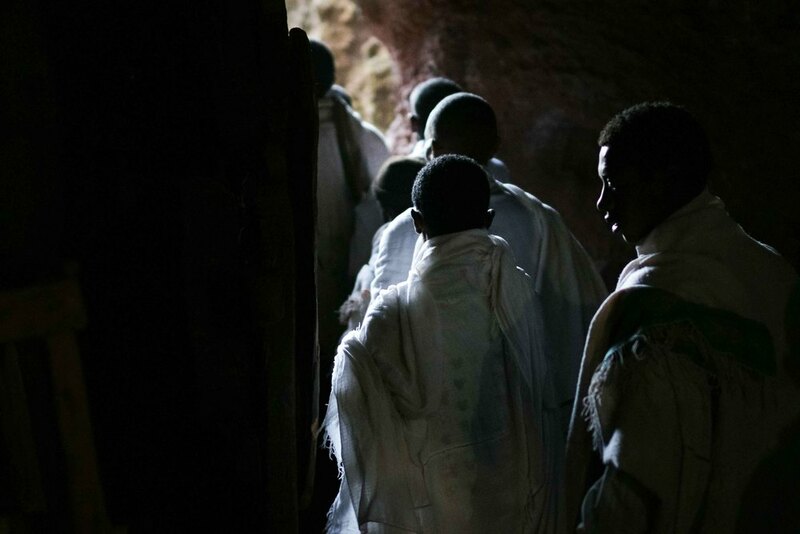 Perched high in the mountains of Northern Ethiopia, the small town of Lalibela is a place of pilgrimage during the time of Orthodox Christmas, and Ethiopian Christianity's second holiest site. 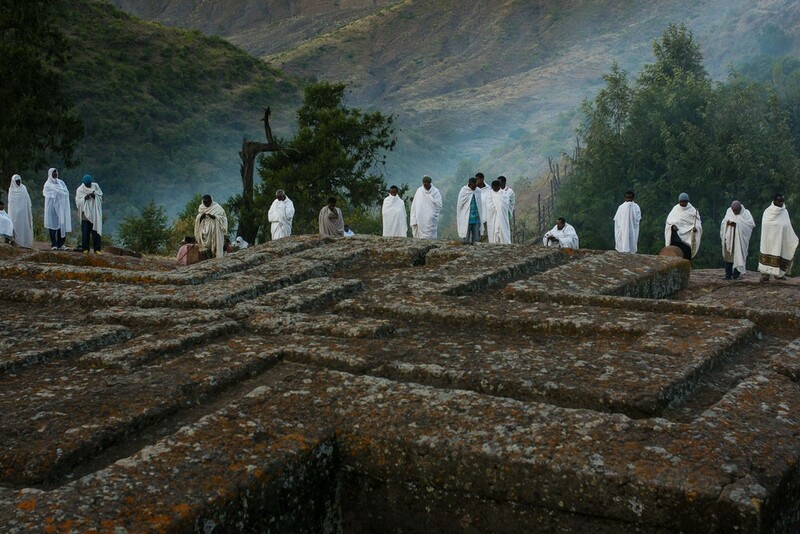 Wrapped in shrouds of early morning mist and cotton, Ethiopian Orthodox Christians stand in prayer at the edge of Bet Giyorgis, the rock church carved to resemble a cross. In the 1500s, King Lalibela had 11 churches hewn from a 'mother rock' in order to create a holy place below ground safe for pilgrims to worship and evade detection. The result was so captivating that the first European to enter the site wrote "I am weary of writing more about these buildings, because it seems to me that I shall not be believed if I write more." Lalibela'svision ensured continued worship for hundreds of years, with masses of the pious still congregating each Christmas. Narrow tunnels underneath the churches and within the mountain connect the churches, and as the number of pilgrims swell dramatically with Christmas approaching, the passages become an increasingly tight traverse. Stories of long treks echo off the cool stone, with one pilgrim telling me of his group's barefoot journey of more than 8 days in order to reach Lalibela. As so many villages are within reach, more than 60,000 pilgrims descend on the churches each Christmas. Resting against the rock face of the church, an Orthodox Christian is caught in a moment of contemplation. Each of the underground churches contain a thick and richly coloured curtain hiding a replica of the Ark of the Covenant, viewable only by priests, deacons and bishops. Serenity and fulfilment consummate one's spiritual journey. For the pilgrims transfixed in prayer, the experience has been a voyage both into the depths of the earth as well as the depths of their own faith.